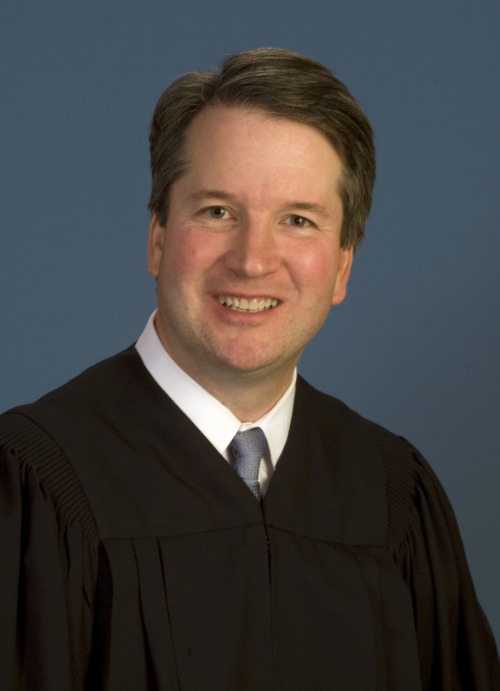 Kavanaugh lost his Kool and Kracked under pressure. I can spell. His rant before the Senate Judiciary Committee revealed he should not be a judge judging other people. He reminded me of the fanatic KKKers defending their racism.With his volatile temperament he should not even be a municipal traffic judge.He doesn’t need to be drunk to be aggressive, belligerent, and in a rage. Here he was before 11 Republicans and 10 Democrats and millions of voters applying for a job on the United States Supreme Court and he doesn’t have the sense to “Kool” it? I couldn’t believe his exchange with Minnesota Democratic Senator Amy Klobuchar about drinking blackouts. He showed dramatically what he thinks of women and what they are there for. We have about five weeks to go to the 2018 midterm elections and the air waves are already contaminated with political attack ads sponsored by—someone. The third political branch of government, the Supreme Court, made the mistake of putting a dollar value on free speech decades ago, and when it decided that corporations were people in the 2010 Citizens United decision, it signed the death warrant for the middle class—and for democracy. Democracy has never survived without a middle class. Perhaps the women vote may save us from the plutocrats and oligarchs in the 2018 elections. David and Charles Koch, now each worth $50 billion, decided years ago what kind of country they wanted, so with the help of hundreds of super rich they have created another huge right-wing political machine called Americans for Prosperity. It may have become the most powerful unelected political group in U.S history. The Kochs and their plutocrat friends with the same ideology have admitted they will spend almost a billion dollars on the 2018 midterms. They made this decision when they met with fellow billionaires in Colorado Springs in July. The Kochkopus has choking tentacles all around the country with 1,200 full-time political staffers working out of 107 offices nationwide. As an example of strength, the Republican National Committee employs around 400 staffers at election time. The purpose of unions is to empower workers in the workplace, whether assembly line, state capitals, or fast food restaurants. Unions have been the power behind policies that benefit all workers and the society they live in: Social Security, Medicare, civil rights and voting laws, higher minimum wages, paid family leaves, working conditions, the 40-hour week, overtime, pensions, the Affordable Care Act, unemployment, health, and other insurances, and hundreds of other “benefits” for workers—and those unable to work. In 2011, only a year after the Citizens United decision opened the floodgates of untraceable cash, public union membership was 50%. In the short span of six years to 2017 union membership evaporated to 19%. Within that span of time revenue from public-sector unions, particularly teachers unions, fell by 70%. The Kochs have temporarily weakened the organizations that normally supported liberal and Democratic candidates in many states. They have increased the number of “right to work” states to 27 where all workers have “the right to work-for less.” Most of the right to work states are in the South and West, and now include Michigan, Indiana, and Wisconsin. The national Chamber of Commerce has pushed these laws for years because research indicates that workers earn 3% less in right to work states, their health insurance packages are 3% more costly, their pensions are about 6% lower, and they cannot collectively bargain for higher wages and benefits. Right to work laws ensure that only plutocrats and oligarchs profit from labor, not the common worker. Whenever I hear of constitution “originalists” such as Scalia, Gorsuch, and Alito, I think of establishing laws regarding machine guns using the mechanics of muskets of 1787. I think of establishing laws on flight travel based on the high-wheel oxcart. How long would it take a passenger in an oxcart to travel from Philadelphia to Los Angeles in 1787? A military jet fighter can now take off from Philadelphia at 9am and arrive in Los Angeles at—9am, flying over a dozen states of the “United” States. But what if you traveled by car, train, or bus? Each state has different laws. Shouldn’t we be able to travel across our country under the same set of laws? We now have 31 states that permit the use of marijuana for medical purposes and nine that permit recreational use. We have young children who have dozens of seizures per day who are helped only by doses of marijuana. We have women and men with cancer undergoing radiation treatments who can maintain their appetites only with doses of marijuana. Isn’t it time to become one country in certain areas of policy? Corky and I have traveled through every state except Delaware and every province in Canada. We have seen the laws that forced black women on the road to pee behind bushes instead of in a gas station restroom. We have observed the differences in traffic, business, and social laws. It really doesn’t make much sense that as of July 1, 2017, each California senator represented 19,768,327 citizens and each Wyoming senator represented 289,157. Our pure white rich founders (who finally decided that black men were only three/fifths of a man) had a real battle between Federalists led by Alexander Hamilton who believed the U.S. should be a single nation while the anti-Federalists wanted the states to have more state-centered power. Rich Southern slaveholders wanted the states to have more power. In order to forge a compromise the parties came up with the tumor called the Electoral College. Although Delaware had only 59,000 people in 1787 and Delaware had 747,000, the founders compromised and decided each state should have two senators regardless of size. They decided that we would have electors decide a presidential election instead having a direct vote. Those decisions gave too much power to small slave states at that time.